Knit Collection for warmth of winter days. Cashmere knit v-necked sphere sweater, sphere dress, v-necked accessary parts and turtleneck accessary parts. Iceland wool knit big collar cardigan and apron dress. 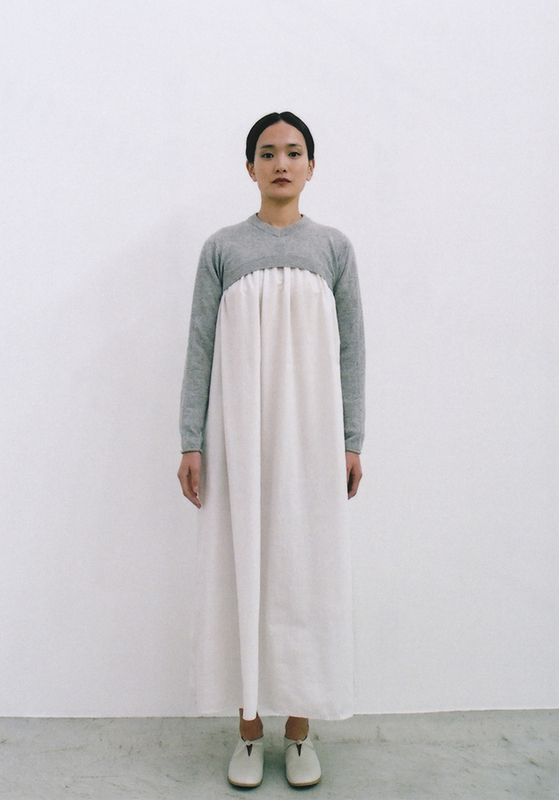 Tasmanian wool knit sweater, sphere dress, pants and blanket. A gift from loveable products that live in a natural environment, Wrapped in full warmth, Knit collection of all will be available at Center for COSMIC WONDER.